Boy, JBE's Camp Sure Lost Their Cool Over Ralph Abraham Showing Up At The State Capitol, Huh? 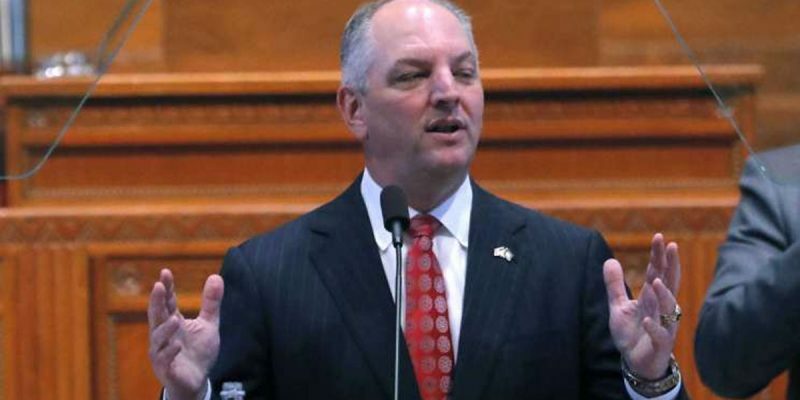 Let’s start this off by saying that the first day of a legislative session, and particularly a regular session rather than the now-customary ubiquitous special sessions of the John Bel Edwards era, is almost always an occasion in which there are lots of dignitaries present. The governor is there and gives a speech, the other statewide elected officials are always in attendance, members of the state’s congressional delegation often show up, candidates for various offices are usually there and you’ll even see the odd quarterback or point guard or local musical artist of note at the Capitol. So it was hardly worthy of particular note that Ralph Abraham, who represents the state’s 5th congressional district and is seeking office as Louisiana’s governor, happened to be there. Abraham’s Republican opponent Eddie Rispone was also on hand – but as Rispone is a private citizen, he was in the gallery as the events of the session’s opening day unfolded, while Abraham, as a member of the congressional delegation, was seated in a position of honor on the dais in the House chamber. Nobody would have paid much notice to the fact Abraham was seated at the dais, since that’s relatively unremarkable. But lots of people notice it now. Why? Because John Bel Edwards’ campaign team couldn’t help themselves but to make a big show of it. When you don't have any money or political support, this is the kind of desperate stunt you have to pull to try to get some attention.
.@RepAbraham just missed three votes, including a vote on the Local Water Protection Act, a bipartisan bill (passed with only 56 nays) that increases funding to keep toxins out of our water. Seems a bit over-the-top, don’t you think? Nobody would have cared that Abraham was there but for the fact that Handwerk, who is the executive director of the Louisiana Democrat Porty, Holl, who is the Edwards campaign’s spokesman and Carbo, who is the governor’s communications director, or was before he left to join the campaign, hadn’t gone positively batty over it. And making a big deal over Abraham not being in Congress to vote for some meaningless water quality bill that received nearly 300 votes doesn’t exactly resonate as a political winner. Nobody cares about his missing that vote on a bill that would have passed anyway. This is the kind of thing which indicates how vulnerable Edwards is. Winning campaigns don’t get triggered and go ballistic over little things like Ralph Abraham sitting quietly on a dais while the governor gives a speech. Today was another demonstration of Democrat John Bel Edwards’ total failure of leadership. The Governor failed to mention why he hasn’t submitted a budget, how he’d fix our crumbling infrastructure, reverse our failing economy, and he even bragged about his massive tax hikes on working people. Louisiana needs a new leader with fresh ideas – not a failed politician with no vision about how to make things better. What to draw from this? Well, for one thing Edwards’ people are going to be increasingly shrill as this campaign goes forward and it’s going to get very, very nasty – because that’s all they know and it’s also all they have, given that Edwards is really only in office because he was able to leverage David Vitter’s personal dirt into a victory in 2015 and that Edwards’ record in office isn’t one he can particularly run on. The question is whether Abraham and Rispone are up to the challenge of matching Team Edwards blow for blow. Yesterday, it looked like Abraham’s crew was equal to the task. He won the day just by being at the Capitol, courtesy of Edwards’ spokesmen losing their cool. It won’t likely be that easy the rest of the way. Next Article So Who’s Got The Most Cash In The Campaign Bank Among Louisiana’s Gubernatorial Candidates?